This article contains interesting facts, pictures and information about the life of the Omaha Native American Indian Tribe of the Great Plains. This article contains fast, fun facts and interesting information about the Omaha Native American Indian tribe. Find answers to questions like where did the Omaha tribe live, what clothes did they wear and what food did they eat? Discover what happened to the Omaha tribe with facts about their wars and history. The Omaha are people of the Great Plains Native American cultural group. The location of their tribal homelands are shown on the map. 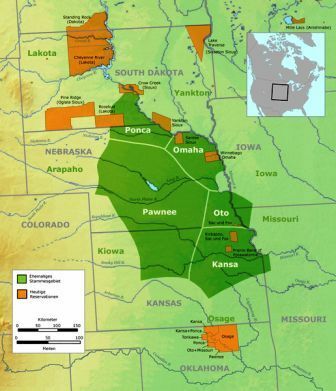 The geography of the region in which they lived dictated the lifestyle and culture of the Omaha tribe. 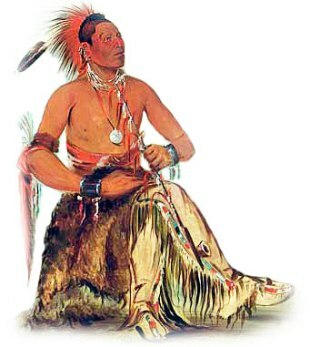 The Omaha Tribe was one of the most famous tribes of Native American Indians. Discover the vast selection of pictures on the subject of the tribes of Famous Native Americans such as the Omaha nation. The pictures show the clothing, war paint, weapons and decorations of various Native Indian tribes, such as the Omaha tribe, that can be used as a really useful educational resource for kids and children of all ages. We hope you enjoy watching the video - just click and play - a great social studies homework resource for kids .